How to maintain these materials is still a severe problem which need to be paid mare attention to. 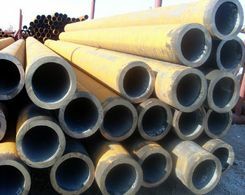 For instance, during the process of construction which widely use welded steel pipes ,its surface treatment is one of the key factors determining the service life of the anticorrosion, and it is a precondition which determines whether a solid combination of anti-corrosion layer and welded steel pipes can be provided. Thus, the surface treatment is an important and effective way to maintain welded steel pipes. It is verified by research institutions that except for the factors such as coating varieties and quality as well as construction environment which affect the lifetime of the erosion resistant coating, the influence of the surface treatment on welded steel pipes account for nearly 50%. There are some methods to maintain the surface of the welded steel pipes. The use of solvent, emulsion to clean the surface of the welded steel pipes can remove oil, grease, dirt, lubricants, and similar organic matter. But it cannot remove rust, scale cinder and welding flux on the surface of the welded steel pipes. So cleaning is only an auxiliary means in the anti-corrosion production. Use wire brush as a main tool for to polish the surface of the welded steel pipes to remove loose or turn up scale cinder, rust, welding slag, etc. Hand-operated tools can achieve derusting level of Sa2, while power tools can reach grade of Sa3. If there is solid oxide iron scale adhered on the surface of the welded steel pipes, the effect of derusting with tools is not ideal, which cannot reach the anchor pattern depth that anticorrosion construction requires. Chemistry and electrolysis are two general way to carry out pickling treatment to remove scale, rust, old coating. Sometimes it can be used as reprocessing after derusting by sandblast. Although chemical cleaning can make the surface reach a certain cleanness and roughness, its anchor pattern is shallow, and easy to harm to the environment. Abrasive blasting is a way through high-speed rotating blades driven by high-power electrical machine to make steel grit, steel shot, iron wire segment, minerals and other grinding materials under the action of centrifugal force carry out abrasive blasting treatment on the surface of the welded steel pipes. It can not only thoroughly remove rust, oxides and dirt, but also achieve the required uniform roughness because of the violent impact and friction. After abrasive blasting, it can not only enlarge the physisorption effect on the surface of the welded steel pipes, but also enhance mechanical adhesion anti-corrosion layer and the surface of the welded steel pipes. Therefore, derusting with abrasive blasting is an ideal method to carry out the anti-corrosion of the welded steel pipes. There are several several problems should be paid attention to when employ abrasive blasting. It is better to emphasis on the importance of surface treatment in the process of production, and strictly control the technological parameters in derusting. In addition, in actual construction, the peel strength value of the anticorrosion layer of exceeds the requirements to ensure the quality of the anticorrosive coating. 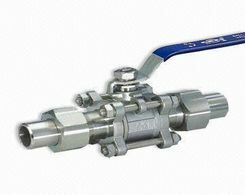 On the basis of the same equipment, to improve the technological level, and to reduce the production cost. Climate changes, and the condition of welded steel pipes is changable. Therefore, it is necessary to continuously explore, summary and improve the surface treatment of welded steel pipes in strict accordance with the requirements that the standard of the erosion resistant coating for welded steel pipes. Next:How to Buy Welded Steel Pipes?